As shown above, Heat-Timer Corp. has a variety of sensors that are designed to work with its controls. The sensors monitor temperature, pressure, vacuum, conductivity, humidity and more. Many of these sensors have a “Wireless” option to allow for easy installation into existing construction. Wireless Network to communicate with apartment space sensors – Wireless sensors located in resident living space which communicate apartment temperature down to the Heat-Timer control in the boiler room. Heat-Timer control utilizes this information within its heating logic. Boiler Feed Meter – Water Meter which tracks the make-up water for the boiler. Will alert if more than a certain amount of gallons are used within 24 hrs. Alert is in real time. 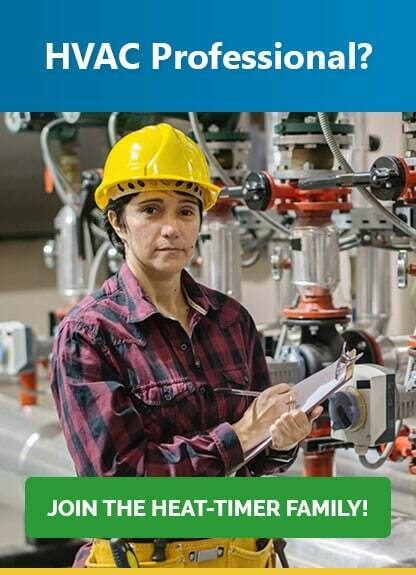 Helps detect a potential leak within the piping system. Sump Pit Float – Float located in sump pit that will detect a rise in water level and will send out an email alert in real-time to the appropriate party. Helps detect a potential flood situation within boiler room. Stack Sensor – Will monitor boiler stack temperature. A high stack temperature is an indication that the boiler needs to serviced. Boiler Lockout Alarm – Will send out an email alert in real time if the boiler goes into a lockout state. An important monitoring point which alerts the appropriate individuals that the boiler is down before residents are impacted. Domestic Hot Water Temperature Sensor – Temperature sensor located on the outlet of the domestic hot water before it goes up to the showers and sinks. This is a vital monitoring point which has a high and low adjustable alarm threshold. If the hot water temperature gets above a certain temperature it will send out an email alarm to the appropriate individuals that there is a potential scald hazard. If the temperature gets too low it will send out an email alarm to the appropriate individuals before the residents are impacted due to a lack of hot water. Boiler Room Entry Sensor (Magnetic Door Sensor) – Notify the appropriate party via email any time someone enters or leaves the boiler room. Carbon Monoxide Sensor – Monitor CO levels remotely or receive alarm notification through email or text message when Carbon Monoxide concentration levels reach alarm levels. Combustible Gas Sensor – Monitor gas levels in an area and send alerts in real-time. MLS/MLS-A – Smoke Alarm – The MLS-A and MLS Smoke Alarm controls are used to detect and instantly warn of smoke or other contaminants in flues of heating boilers utilizing oil, gas, or coal. Each unit consists of a transmitter unit, a receiving unit, a burner reset control, and a Vis-U-Alarm. OTM (Oil Tank Level Monitor) – Monitors Oil Tank level in Gallons. Useful monitoring point which can email appropriate party when the Oil Tank Level falls below a designated threshold. To fully understand the power of our integrated sensor system see the video below.